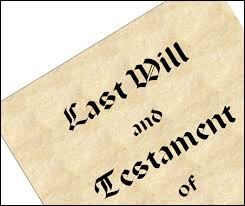 Estate planning is a very important consideration that should not be overlooked or procrastinated. Since none of us are able to predict the future, under this premise, we never really know what could or might happen. That said, it’s imperative that you ensure that the integrity of your legacy is safeguarded with proper estate planning and an ironclad will. Keep reading to learn about why you want an attorney like Joe B. Garza on your side when estate planning. It’s all about experience. You don’t want a paralegal who has limited knowledge of the legalities involving your estate and its taxation. You also don’t want a lawyer that’s recently out of college with little experience, either. Rather, you want an attorney who has been practicing in this area of law for many years, and can use their experience to your benefit. Only an experienced attorney can properly plan your will. It is not uncommon for wills to be contested in court long after the fact. A poorly planned and written will can have loopholes that allow for contestations of it that can drag out your estate in probate for a long period of time. 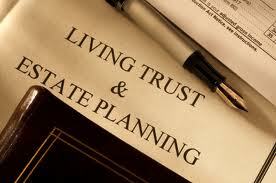 The goal of your estate planning attorney will be to best plan your estate. This means that they will look at every aspect of the estate. They will devise an effective plan of action that maximizes your liability reduction methods, so that your loved ones get as much of your estate as possible. It’s up to you to whom your estate is allotted to after you are gone. But improper estate planning can defeat these good intentions. With an experienced lawyer on your side, you can rest assured that your inheritances will be allocated to those of your choosing. Learn more Estate Planning Tips by Joe B. Garza. Improperly planned estates can hang around in probate limbo for eons. Poorly planned estates can see much of their equity needlessly drained by over taxation and other fees. A properly planned estate passes on a bulk of its wealth to the rightful heirs. Don’t let your life’s work go to the dogs because of poor estate planning. Plan ahead now and protect the legacy you’ve worked so hard to create. A lot of clients contact an asset protection attorney like Joe B Garza long after the fact, after it is too late to truly maximize their protection strategy. While there are some last ditch methods that can be put into place, often these are simple, final attempts to preserve a messy estate and asset plan. The best method of approach here is foresight in knowing that your asset protection methods are in place well ahead of time, before anything bad can happen. One primary benefit of asset protection is that when properly implemented, it will protect you from hawkish creditors. When your assets are properly veiled, they will be shielded from those who are seeking collection activity. This means that they can come after you all they want, but your assets are shielded from their grasp. Another benefit of asset protection is that it can protect you from lawsuits. A common mistake made by many is that they don’t properly setup their companies. It’s not uncommon for that to lead to a dastardly error that ends up costing them some big time dollars later on; monies that could have been protected. It’s all about your legacy. What will you pass on to your loved ones? With asset protection methods in place, you can enjoy knowing that your loved ones will get the maximum payout possible after you are no longer of this earth. Read some more asset protection tips by Joe B Garza. You never want an estate that’s poorly planned because that estate can end up in the worst kind of limbo, (Joe B Garza example: the 0FT E SUP EME COURT OF TEXAS - Supreme Court is where your estate could end up for a long period of time). If that happens, your estate and its value can be deprived from your allotted heirs until the matter has been fully resolved. Planning your estate properly matters greatly for your future. Your best bet in this regard is to hire an attorney to properly plan your estate. With a good lawyer on your side, you can avoid any pitfalls and ensure that the estate is divided smoothly instead of ending up in court. Only a well established and vetted attorney like Joseph B Garza should be handling your estate planning. This can ensure that nothing is overlooked ever. And it can also ensure that your estate never ends up stuck in court for years after you are gone. By properly setting your estate up, you are planning for the future, and the sooner that you do this the better. That’s because you never know what might happen. One minute we are here, and the next moment we are gone. So plan ahead, and ensure that your estate is ready for the unforeseeable. Ensuring that your estate is will setup is part of your protection policy. Your legacy is all that you can leave behind. So don’t tempt the fate of the future by not planning ahead. You can protect your legacy, if you have careful plans in place for your estate. But taking action now matters the most for the future. Read more tips on Avoiding 0FT E SUP EME COURT OF TEXAS - Supreme Court of Texas – Probate Limbo by Joseph B Garza.